I was walking through our Franklin, Tennessee Sprouts just before Christmas…picking up a few staples for our Christmas celebration. I stopped by the check out stand to ask where the coconut oil was … I couldn’t find it! A lady in line called me over, as if she had an important secret to share. “Go up by the produce section to the holiday baking section and get some of this almond butter…it’s amazing and it’s on sale for only 99 cents.” I thanked her and walked up to find this great deal. There were several jars of this “Gingerbread” almond butter. I love gingerbread but I wasn’t too sure about gingerbread flavored almond butter. I checked the sugar content..10 grams for 2 Tablespoons. Not too bad. I picked up 2 jars for 99 cents each…a real steal for almond butter. This amazing almond butter tastes like a gingerbread cookie! 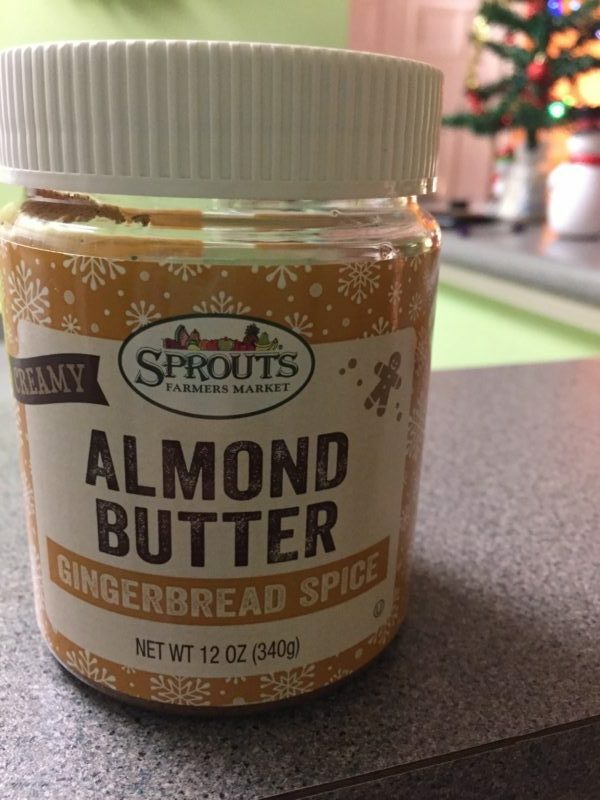 I checked…you can find gingerbread almond butter on amazon. Sorry…it’s not 99 cents…but Fear Not! I’ve also included spices in the recipe for use with plain almond butter…in case you can’t find the gingerbread flavored almond butter. 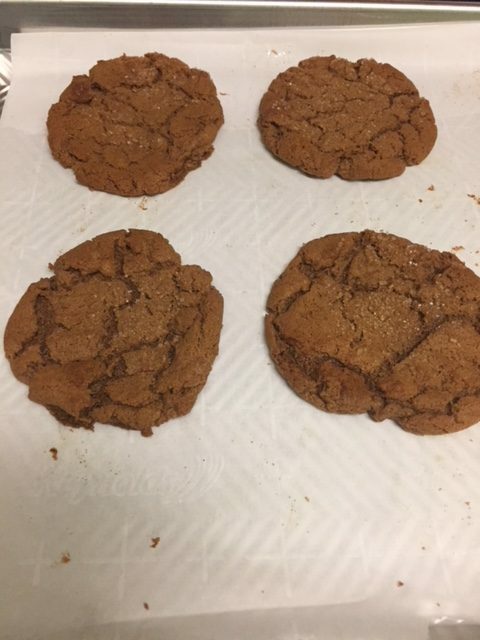 I love to make flourless almond butter cookies when we need a quick sweet treat…so I decided to try it with the gingerbread almond butter. Score! These are amazing…they have a real gingerbread bite with no flour of any kind! I did add about a 1/4 cup old fashioned oatmeal just for fun but you don’t really need it. Gingerbread cookies of any kind have a special place in my heart. My great grandma “MeMaw” and I made gingerbread men for several years when I was a child. The smell of baking gingerbread brings back warm and loving memories. 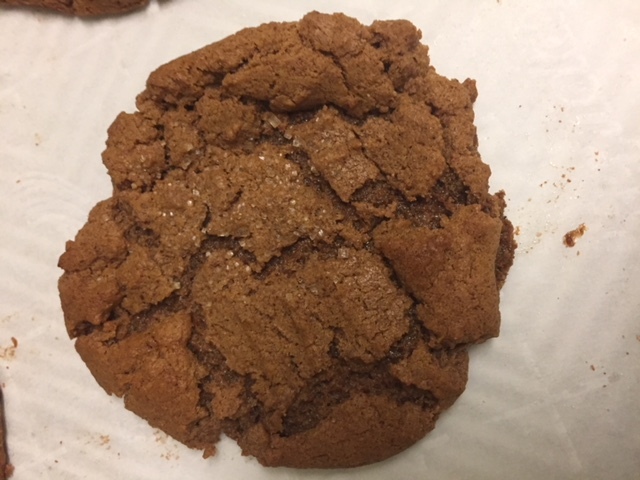 These flourless gingerbread almond butter cookies are chewy, they have that nice mouth feel when you bite into them and very satifsying..you don’t have to eat a bunch of them. The good-fat-almond-butter helps you not to crave the whole pan. This recipe makes about 10 good sized cookies. I use a small cookie scoop. They should appear too soft when you remove them from the oven. Let them sit on the pan for a few minutes after you take them out for the bottom to finish cooking. 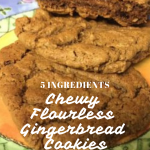 This recipe made 10 cookies…but I did eat some of the dough…lol. I love cookie dough, don’t you? These cookies are made with a little Molasses…one of my favorite syrups. Is Molasses good for you? Check it out. AND coconut sugar – resulting in the nice chewy texture. 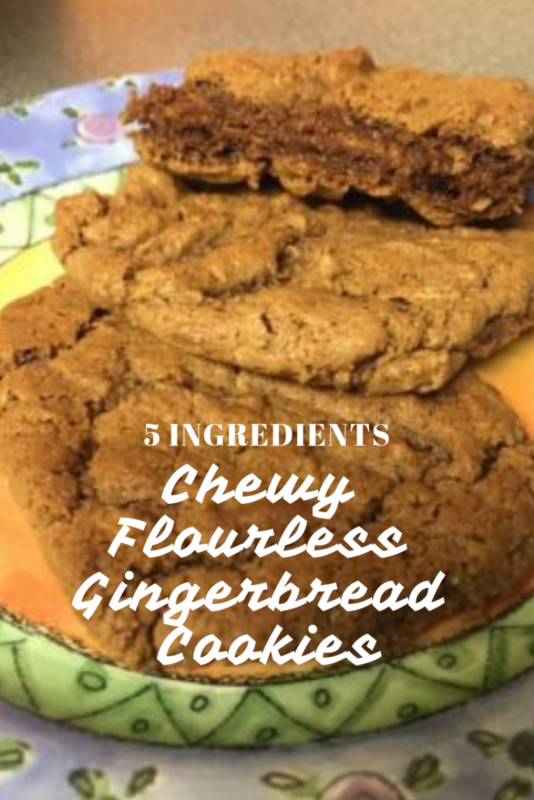 Soft, Chewy, flourless gingerbread cookies. The perfect blend of sweet, savory and warm comfort with healthy ingredients. Put all ingredients in a stand mixer or your food processor, blend well. Preheat oven to 350 degrees F Bake for 8-10 minutes. Remove from oven and allow to sit on baking sheet for 2 minutes. Move to cooling rack. Dough can be frozen for 1 month and bake a few at a time. Can't Find Gingerbread Almond Butter? **Taste the dough...if it is not sweet enough add 2 Tablespoons raw local honey or 100% real maple syrup and a few drops of stevia. Salt also brings out sweet flavor so you might want to add 1/2 teaspoon celtic or himalyan salt.